It may be Dog Song Saturday at Talking Dogs, but it is also the 13th birthday of one of our favorite Golden Retriever pals - Sugar. 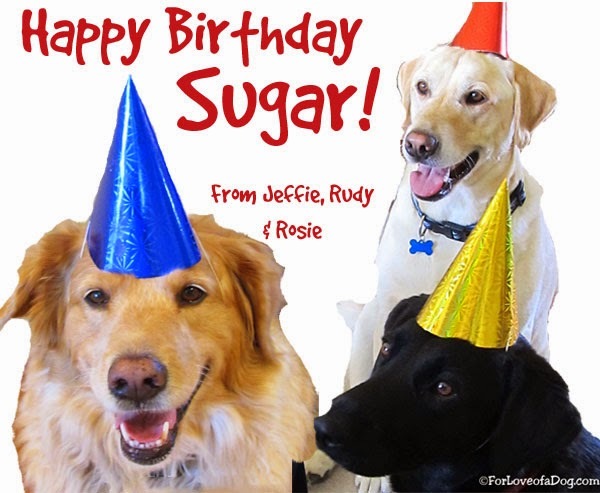 Jeffie, Rudy and Rosie simply had to say Happy Birthday! 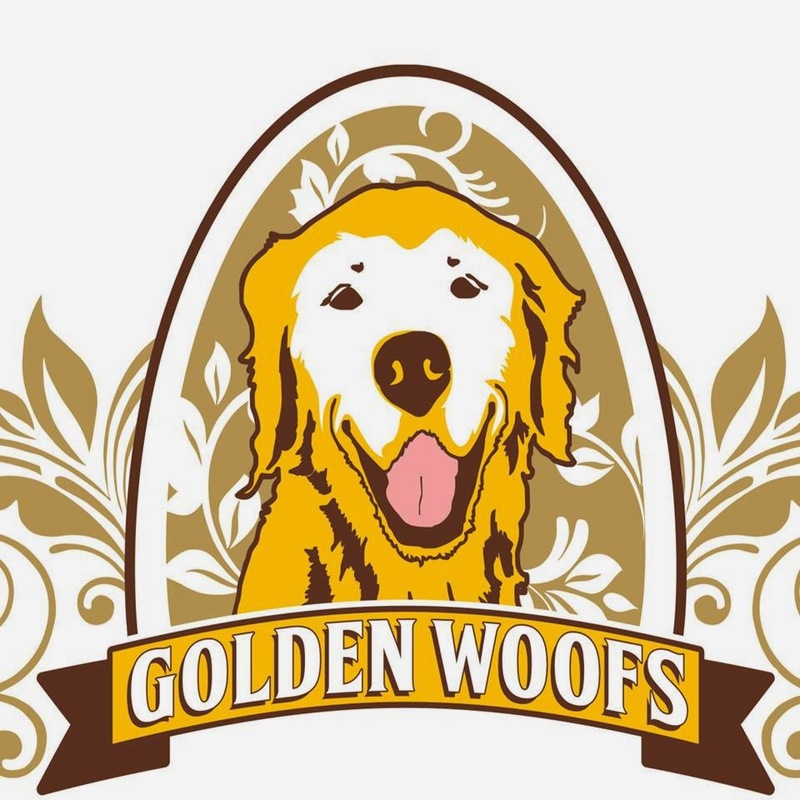 Sugar and her mom, Rosalyn, blog at Golden Woofs, a lifestyle dog blog sharing Sugar's Golden Life and Adventures. Usually you'll find an original dog song and music video on Dog Song Saturday, but today we decided to devote ourselves to a musical doggie birthday greeting for Sugar. Sit. Stay. Relax and enjoy lots of dogs singing the Happy Birthday song for Sugar! Then fetch more dogs songs. You'll be surprised at how many we've found! What great smiles in that birthday wish for Sugar. Your smiles even made me smile! Have a great weekend. that song is adorable and to funny... Sugar will understand every word. Ohhh this is too adorable!!!!! I am sure that Sugar is grinning ear to ear! What a great treat for Sugar! What a great card and video for Sugars bday! You guys rock. I LOVED that!! How clever! That was a great video!! Your crew looks adorable in their birthday hats too! What a wonderful way to help Sugar celebrate!! !